Buy online Atmos Tyga x Shine L'Or Vaporizer Kit in the Vape store | Vawoo.co.uk! 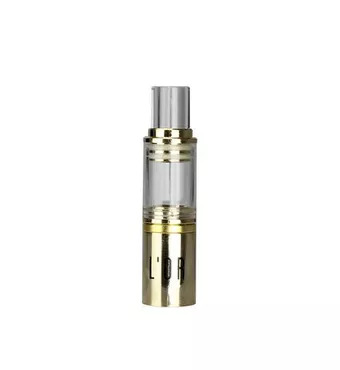 Minimum quantity for "Atmos Tyga x Shine L'Or Vaporizer Kit" is 1. The Atmos TYGA X Shine L’or Kit Vaporizer is a very slim and portable vaporizer and it is great if you want to use it with all waxy concentrates. Of course, it also comes with a very innovative magnetic top and this is used if you want to try and streamline the fill process or anything else of the sort. 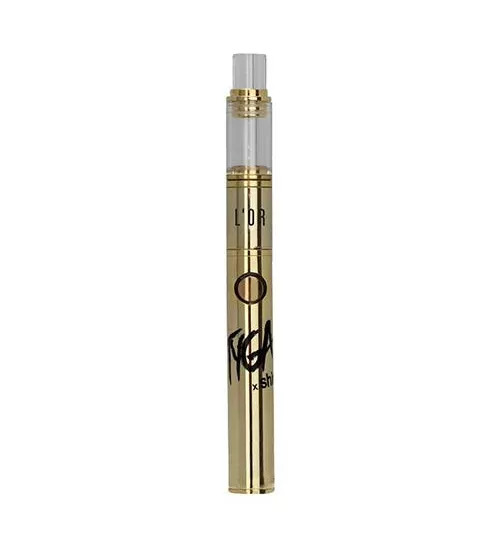 The Atmos TYGA X Shine L’or Kit Vaporizer has a very nice, golden finish and you also have the logo on the base of the compartment for the battery as well. This gives you a very high level of aesthetic and this is not present with any other vaporizers that are on the market currently. The Atmos TYGA X Shine L’or Kit Vaporizer is the ideal choice for just about anything you need and it is a great way for you to get the potent flavour you’re looking for. The Atmos TYGA X Shine L’or Kit Vaporizer also implements a glass mouthpiece and the glass design is great if you want to give the vapour chance to cool down. This is all done before it reaches your lungs, and with a magnetic closure holding the mouthpiece, you know that you won’t have any problems using this device at all.